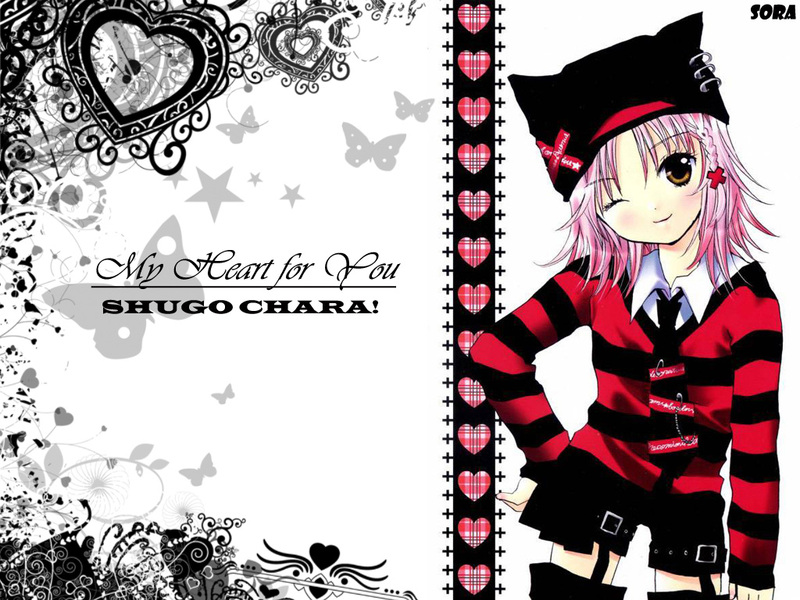 Shugo Chara Wallpaper: My heart for you! Minitokyo »	Shugo Chara Wallpapers » Shugo Chara Wallpaper: My heart for you! It's only in 1024x768, I'm very sorry, I'll try to do it in more resolutions. Constructive comment are well-well received! Wow Amu looks super cute! I like it! Very cute, simplistic with just image and brushes, but hey, it's not Paint. i love shugo chara ! cool she look's awesome in that outfit. amu is so cool in that outfit !